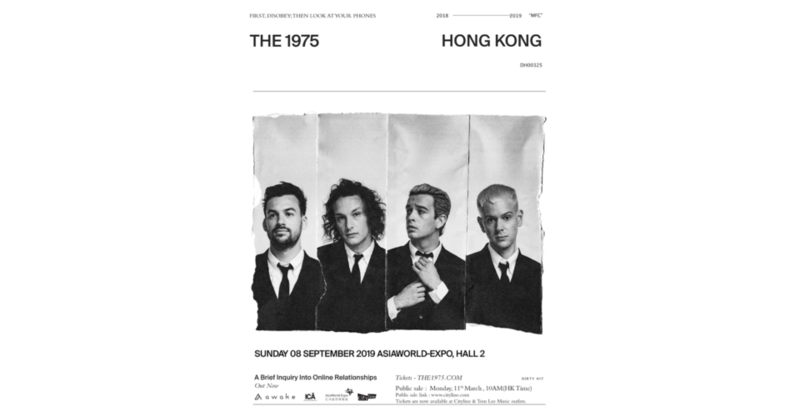 Top of the Pops: Award-winning British pop rock group The 1975 returns to Hong Kong for the first time since 2015. Expect to groove to hits like “Chocolate”, “Somebody Else” and “Love It If We Made It”. They took home “Best British Group” and “Album of the Year” at the Brit Awards just this year. When? 8pm, September 8, 2019. Where? AsiaWorld-Summit (Hall 2), AsiaWorld-Expo.